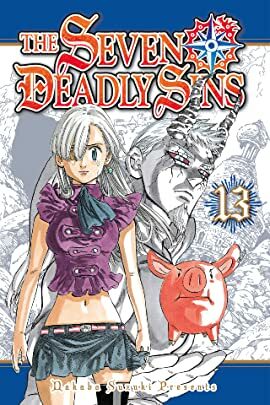 A GRAND SACRIFICE The Seven Deadly Sins fight against Hendrickson in his new form as an evil god, and one by one, its members fall in the face of Hendrickson’s fury—even the mighty Meliodas. But just when it seems like all is lost, a mysterious figure courageously rises to save the day! And that valiant hero turns out to be a trusted friend and comrade! The prayers of a grief-stricken maiden awaken hidden powers, bringing miracles and hope back to life.